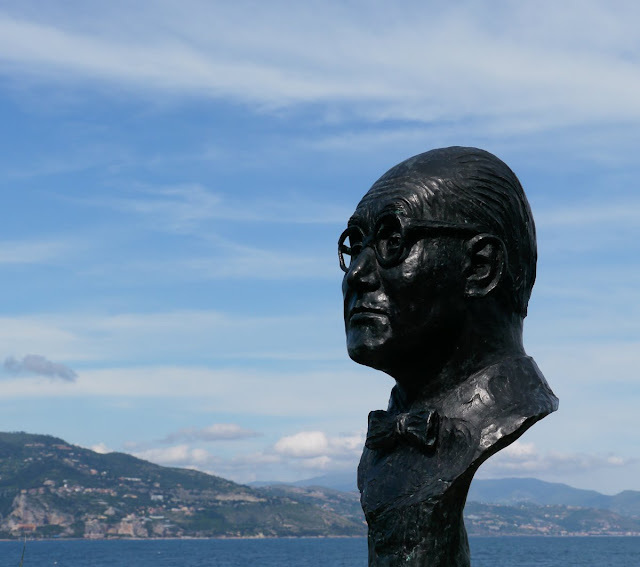 This sculpture of Le Corbusier, the legendary Swiss-born architect, famed for his minimalist style, stands at the beginning of the Promenade le Corbusier at the point of Cap Martin. This invigorating 2 hour walk to Monaco used to be called the Sentier des Douaniers (the Coastguard's Path). A few years ago vandals attacked this sculpture by Arlette Somazzi and threw the head into the sea. Fortunately it was eventually retrieved and replaced on the plinth. 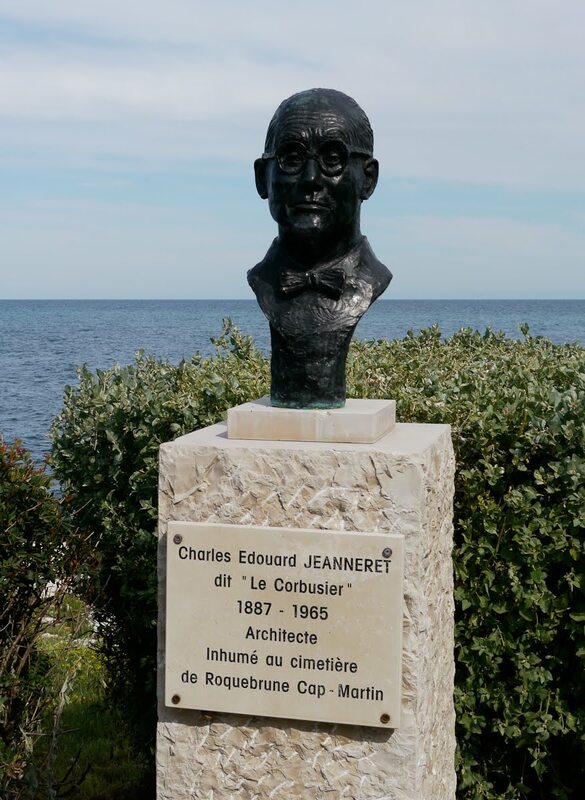 Cette sculpture du Corbusier, l'architecte légendaire né en Suisse, célèbre pour son style minimaliste, se trouve au début de la Promenade le Corbusier à la pointe du Cap Martin. Cette promenade de santé d'environ 2 heures en direction de Monaco s'appelait aussi le Sentier des Douaniers. 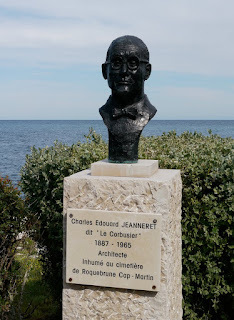 Il y a quelques années, des vandales ont attaqué cette sculpture d'Arlette Somazzi et l'ont jetée à la mer. Heureusement, elle a finalement été récupérée et replacée sur son socle. love the perspective of the first shot. so glad this monument was recovered and restored. This statue has more brains than the vandals. I suppose that is one of the risks of having public art. Your first photo is nice. I guess they didn't like his architecture. Which is hard to understand as he was a brilliant man. Beautifully composed. The Mediterranean adds a sense of dignity and power. Why would anyone attack this beautiful work? 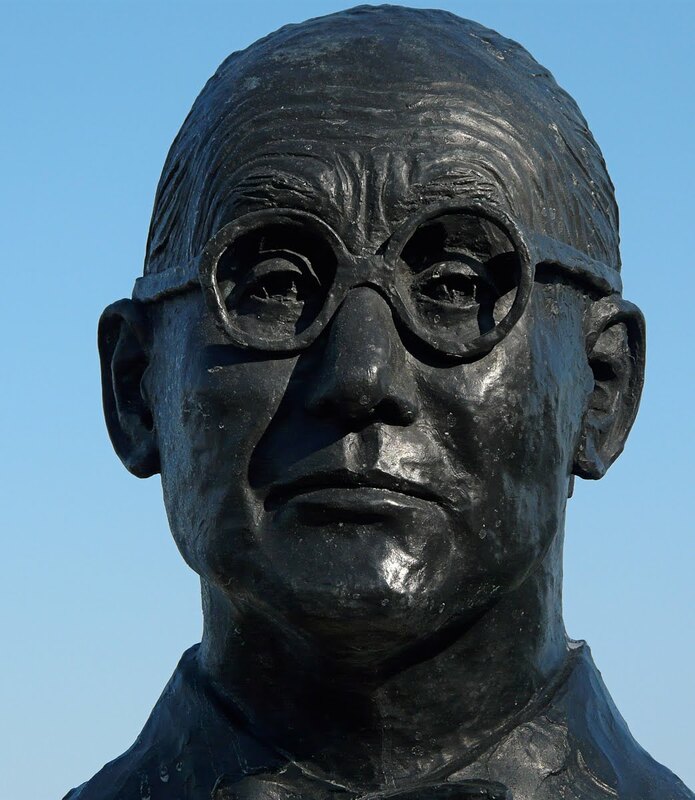 It's not like you have a bust of George Busk (pick one) on the waterfront. I love this head suspended above the sea (first photo) ! This man was a vandal himself and I cant beleive people are still idolising him after what he did, and what he tried to do to our beloved historic cities. Unfortunately his legacy still lives on!